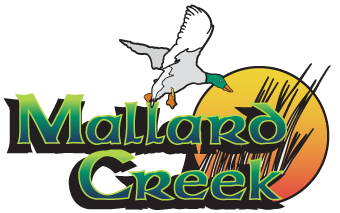 As we begin our 25th season here at Mallard Creek Golf Club, we have plenty of new happenings taking place. From improved course maintenance to special offers, top-of-the-line equipment to new events, there is a little something for every golfer to enjoy this season here at ‘The Duck’. Last season, we began testing a sand/seed mixture to be applied topically to our tee boxes. Even with the excessive heat and little precipitation, we liked the results we saw in 2016. For 2017, we will not only increase the frequency that we apply this to the tee boxes, but will also begin applying it to our fairways. With a majority of the ground in Northeast Ohio being mostly composed of clay, this periodic application allows for the soil composition to include more sand. This allows for softer surfaces, improved turf recovery times and most importantly, even better overall conditions. We are excited to have all new King Cobra clubs and Puma apparel this season. Cobra’s 2017 line is perhaps their best ever, and you can now find it here at Mallard Creek. Even better, we will have demos available for you to try out these new clubs before you decide to purchase. Our Puma apparel is some of the best on the market today. Whether you are looking for something to stay warm during cooler rounds or a lightweight material to keep cool on those hot summer days, we have just what you need! Cobra teamed up with Arccos to bring the industry’s first built-in GPS tracking device in a driver. Pretty cool, right? The KING F7+ Driver features a smaller profile at address. Also, it is equipped with 3 Center of Gravity settings for maximum distance and lower lofts for better players. If you’re looking for a driver that performs to the highest of standards, look no further than the King Cobra F7+! The KING F7 Driver also features Arccos technology within the club. This helps all golfers gain a better understanding of their driver performance. Knowing this information allows you to pinpoint what parts of your driver game need work as well as exactly how far you should expect to be hitting it on the course. The King F7 is equipped with 3 Center of Gravity settings for maximum distance. Get yours at Mallard Creek! The Puma Soundchuck Bluetooth Speaker has a one-of-a-kind clever design. This wireless speaker system is weather resistant, adjustable, and portable — designed to keep up with your active lifestyle on and off the golf course. Enabled with Bluetooth technology, the Soundchuck lets you listen to music from any of your Bluetooth enabled devices such as your phone or iPod. Even better, it can be snapped to your bag, golf cart or anything else – making it nearly impossible to lose! *Includes Soundchuck, Micro-USB Cable, Quick Start Guide and Warranty Information. Whether you are looking for Rickie Fowler’s signature orange hat, Bryan DeChambeau’s pub cap or something else, we have it here at Mallard Creek. With various sizes and colors, you are sure to find just what you are looking for here. Even better, our prices are lower than many of the big box stores and other golf shops. We have all-new Puma apparel for this season. From pullovers to polos, shoes to women’s offerings, you can find the right look for your game here. With various sizes and color schemes and styles, we’re sure to have exactly what you are looking for. If you are in the market for some new threads, be sure to swing by our pro shop at anytime and we will be happy to help you. For the 2017 season, we have laid out a plan to verticut our greens more than we have in years past. Verticutting, or vertical mowing, removes thatch buildup in the lawn so turf can breathe easy, better absorb nutrients, and soak in much-needed moisture. This means smoother and better rolling greens that break true. It also means healthier greens that maintain moisture and nutrient levels to ensure that all of our greens are as healthy as ever. Also, we replaced the bridge on #23 in 2016 and will continue replacing and improving our bridges throughout 2017. Add in that we will be improving our cart paths, and your ride around The Duck will be even smoother. Lastly, in 2016, we began trimming our trees to allow for better views on the course and it has been great. In 2017, we will complete phase 2 of 3 and nearly all of the trees on the course will be perfectly trimmed. In 2009, we were the first to offer Unlimited Golf in Cleveland. In 2014, we expanded Unlimited Golf to 4 courses and created The Fairways Golf Membership. Now, in 2017, we are bringing Unlimited Range Balls to Cleveland! Say goodbye to greens fees in 2017 with The Fairways Golf Membership. As a Fairways Golf Member, you will have Unlimited Access to not only Mallard Creek, but also Coppertop at Cherokee Hills, Briarwood and Pine Brook Golf Club. Memberships are good any day, anytime. The only cost after your membership is that of nominal cart fees – $7 per 9 holes. Hurry, spots are limited and we are nearly sold out! Don’t miss out on Ohio’s #1 Golf Membership! The Fairways Cup is kicking off its inaugural season in 2017 and we want you to be a part of it. League play will alternate between Mallard Creek Golf Club and Pine Brook Golf Links each week, so you will enjoy playing a variety of holes and layouts. The league is formatted as an individual ‘FedEx Cup’ style setup up. Tee times start at 5:00 p.m. on Wednesday nights. League play will begin on April 26th, 2017 and go until September 14th, 2017. League fees are just $100 per person. Fees will go towards cash payouts, food and beverages for the included cookouts, prizes, handicap tracking and general management of the league. After the league signup fee is paid you just pay greens fees each week. Also, we will likely host an after party following the awards ceremony which all golfers will automatically included in on and will be open to a limited number of ‘party only’ attendees. This will include food, beverages, music, games, giveaways, a 50/50 raffle and more.